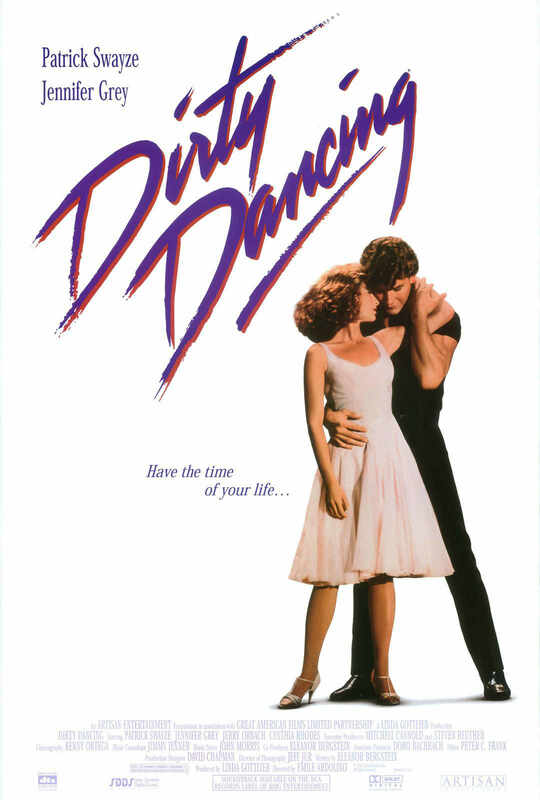 Dirty Dancing is a 1987 American romantic drama film. Written by Eleanor Bergstein and directed by Emile Ardolino, the film stars Patrick Swayze and Jennifer Grey in the lead roles, as well as Cynthia Rhodes and Jerry Orbach. The film title in the poster above is probably custom designed, and a few brush drawn fonts with a similar feel are ITC Blaze designed by Patty King, Rapier designed by Martin Wait, and Still Time (free) designed by Ray Larabie. If you just want to reproduce the logo, you can use a font called Dirty Dancing Vector, just type the symbol @ and you will get the logo.